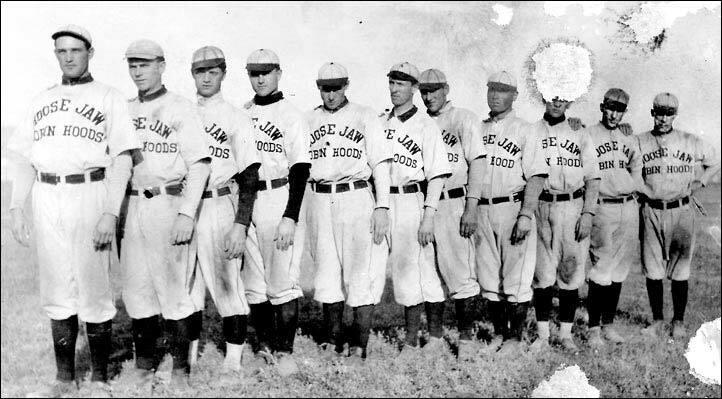 Moose Jaw Robin Hoods 1909, a photo from a newspaper edition in 1909 (a poor quality photo made worse by the mark left to right through the photo). But it's at least a placeholder for when he can dig up a good quality version. 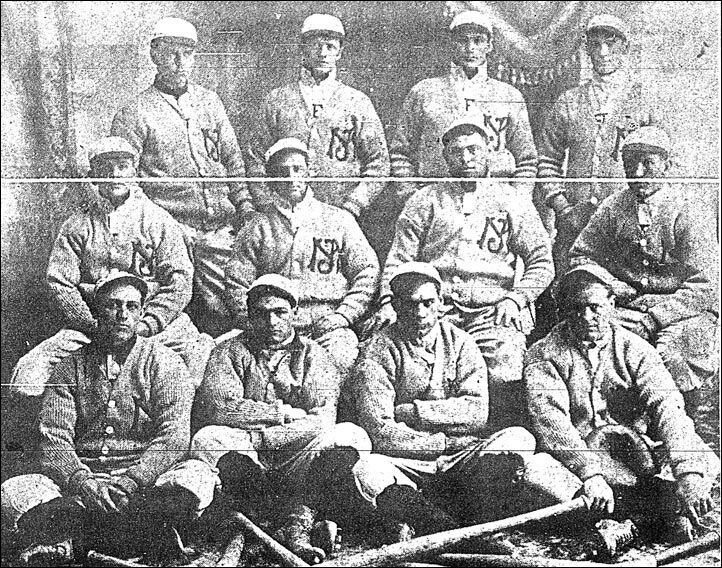 Top row - Joe Smith P, Louis Walters SS, J/W. Gilchrist P, A. Carroll LF. Centre row - Harold O'Hayer 1B, Clarence Currie P, A. Meyers RF, M.O. Taylor MGR. Bottom row - D. Middlestead CF, A. Rosevear P, F. Olmstead 3B, Davis Steele C.
After much deliberating, we believe the following (thanks to David Eskenazi) to be either the 1909 or 1910 editon of the Moose Jaw Robin Hoods. The first player on the left is thought to be Gilchrist who played for Moose Jaw those two seasons.